Commuter pants are the only pants I need. 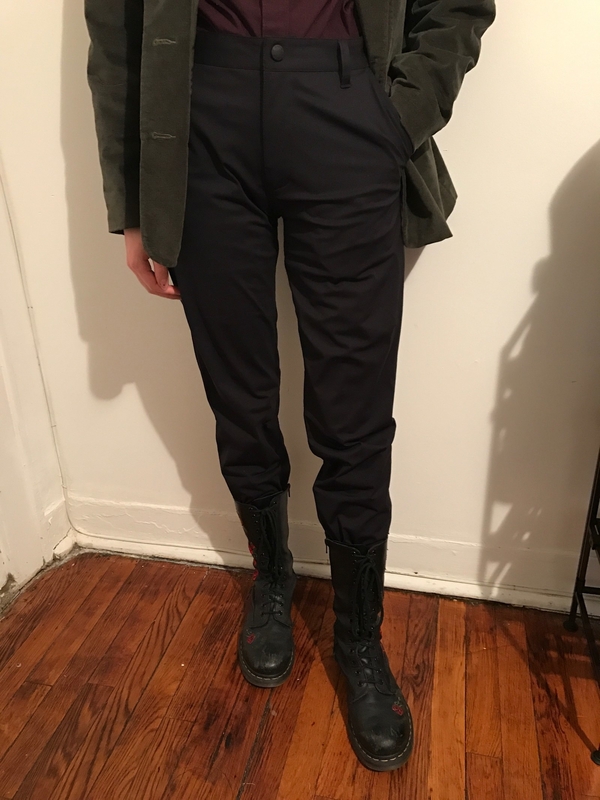 Hey hi hello, my name is Francine and I recently tried Rhone pants: a commuter pant I was v skeptical about. But turns out they rule, and they have turned me against almost all my other pants. Here I am, pants skeptic, thinking about how my ~other pants~ rode up too much, were too tight, too big, uncomfortable, etc. — and regretting putting up with it all for so long. In my defense, a comfortable, flexible, professional-looking pair of pants sounded too good to be true. Oh boi, was I wrong. Rhone pants are stretchy, flexible, moisture-wicking, and move with you — not against you. The stitch pattern on these pants is the work of a true genius. They fit true to size (I'm a size 28), and I don't have to worry about them riding up or down and ruining my life. They also have deep pockets in the front and a zippered pocket in the back, so I can slip my phone into them and run around without any worry that it will fall out. Plus, black (pictured) goes with everything. But these babes also come in navy, asphalt, smoke, and khaki. Rhone pants are perfect to wear to work, and you can get them custom-hemmed for no extra charge — so you've got a sleek, clean, everyday pant for the office. I've had these for a while now, and they have held up in the rain, in the wash, on bike rides, and — true to their name — on many, many work commutes. I also find myself wearing my Rhone pants around the house over my sweatpants, because they are that comfy and breathable. Anything you want to do in these pants, you can do it. 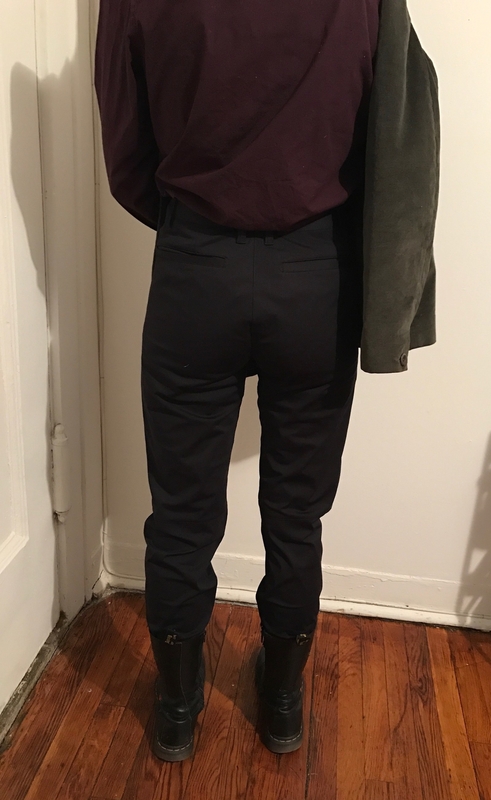 At $128 a pair, Rhone pants are on the pricier side, but they are SO worth it. Invest in your own, throw out your other pants, and live your best life. You can literally wear them everywhere. Get them from Rhone for $128 (available in men's sizes 28-42 and in five colors).